The dispute over Sergei Rachmaninoff’s burial place started last month, when Russia’s culture minister, Vladimir Medinsky, said the remains should be exhumed from a New York cemetery and sent to Russia. It was quiet beneath the mountain laurel shrubs shielding the grave of the composer and pianist Sergei Rachmaninoff from the late-summer sun, 4,500 miles away from the furor building in Russia. 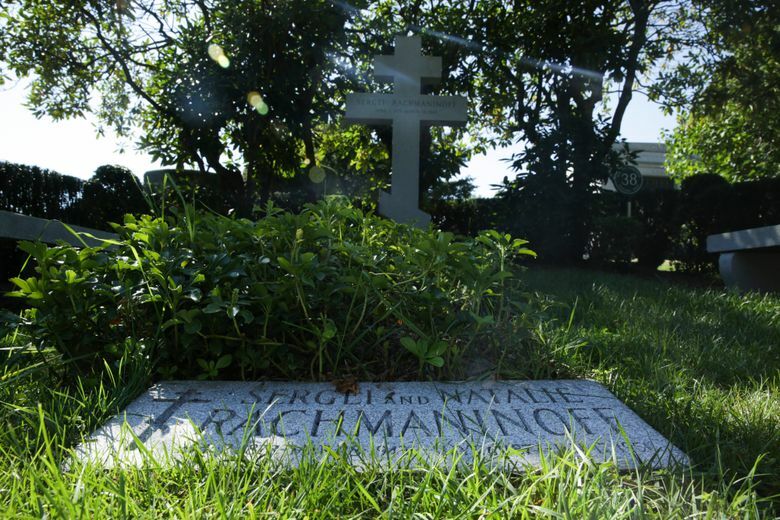 Rachmaninoff was buried in the Kensico Cemetery in Valhalla — a town with a distinctly Wagnerian name about 25 miles outside New York City — 72 years ago. The plot is on a hillside in a cemetery with other notable graves, include those of the peerless New York Yankees first baseman Lou Gehrig, the actress Anne Bancroft, the bandleader Tommy Dorsey and the author Ayn Rand. A three-bar Russian Orthodox cross stands behind Rachmaninoff’s tomb. The dispute over his burial place started last month, when Russia’s culture minister, Vladimir Medinsky, said Rachmaninoff’s remains should be exhumed and sent to Russia. “The composer dreamed of being buried in Russia; that’s why returning his remains to his motherland would be a great deed,” he said, according to a report on the ministry’s website. Wanamaker said Rachmaninoff had no such dream. She also took issue with biographical sketches that said he had wanted his final resting place to be outside his villa in Switzerland, but that he was buried in Kensico Cemetery because his body could not be delivered to Switzerland during World War II. The villa was called Senar. Its name was a combination of the first two letters of his first name; the first two letters of his wife’s first name, Natalie; and a final R, for Rachmaninoff. “He held Senar in very high regard, but he never wished to be buried there,” Wanamaker said. And while he died of melanoma in Beverly Hills, Calif., on March 28, 1943, “The family’s roots in New York were deeper than their roots in Beverly Hills,” Wanamaker said. Rachmaninoff, who left his homeland to escape the Russian Revolution in 1917, had rented a house in Manhattan when he arrived in the 1920s. 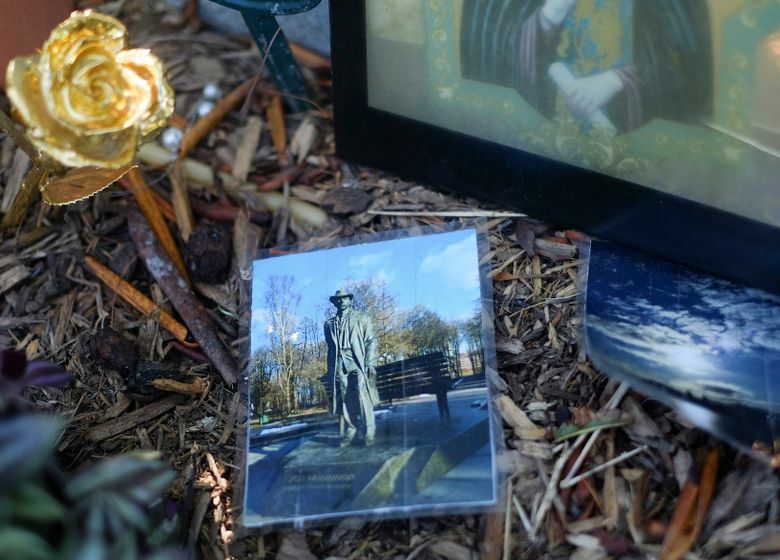 He became a U.S. citizen eight weeks before he died. That idea was echoed by Valery Poliansky, president of the Rachmaninov Society in Moscow (the group spells his last name with a V). Poliansky told the Govorit Moskva radio station: “Nobody in America needs him,” referring to Rachmaninoff, or his remains. “America doesn’t need anyone, except itself,” he said. She added: “I believe the name Rachmaninoff, because it’s recognized and respected, gives Medinsky a platform to spout his nationalism.” She suggested Medinsky was “trying to politicize a personal choice”: Rachmaninoff’s decision to leave Russia and never return. The Tass News Agency reported that Medinsky had said Rachmaninoff’s grave was in unsatisfactory condition. “Untrue,” said Judy Mitchell, a spokeswoman for the cemetery, as she stood near the grave, where the grass was green and healthy-looking. So were the rhododendrons beneath the mountain laurel. She said Rachmaninoff’s grave did not receive any special attention from the 75 workers who tend the cemetery’s grounds. “It’s in our interest to have the entire property look good,” she said. Wanamaker said she last visited the grave in July and it was “beautifully maintained.” She called it “laughable” that his grave’s supposed condition had been used as an argument for moving his remains. “Just simply not true,” she said. As for bus tours, Mitchell mentioned a recent visit by a bus that was either so tall it scraped the arch at one of the cemetery’s entrances (8 feet 9 inches, according to a sign) or so long it could not make it around some of the turns. She did not know which. But the people on that bus, like so many who visit Rachmaninoff’s grave, were passionate, Mitchell recalled. There have been a cappella singing groups, and more. Wanamaker said that Rachmaninoff, great as he was, was not the only one to think about.